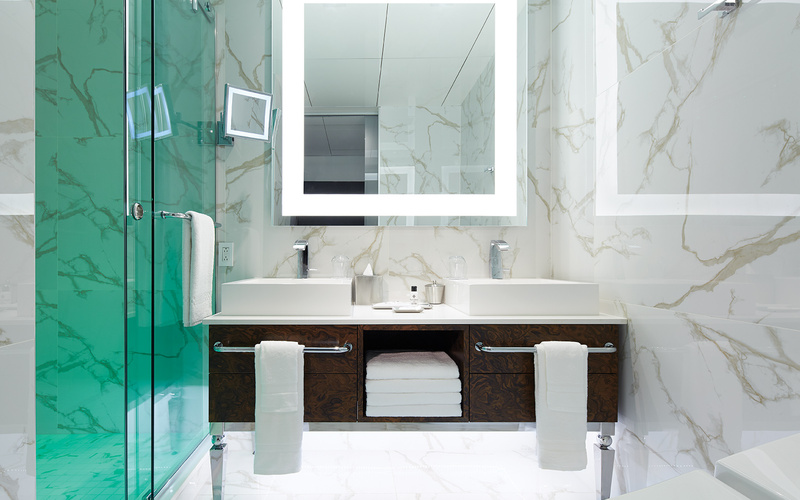 Le Mount Stephen sets the standards for modern luxury lifestyle and sophistication. 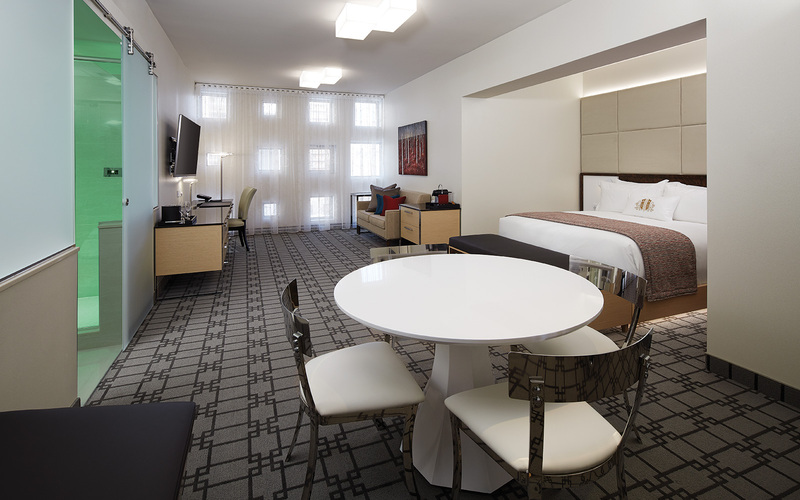 All our rooms and suites feature the utmost in modern comfort and high-end amenities. 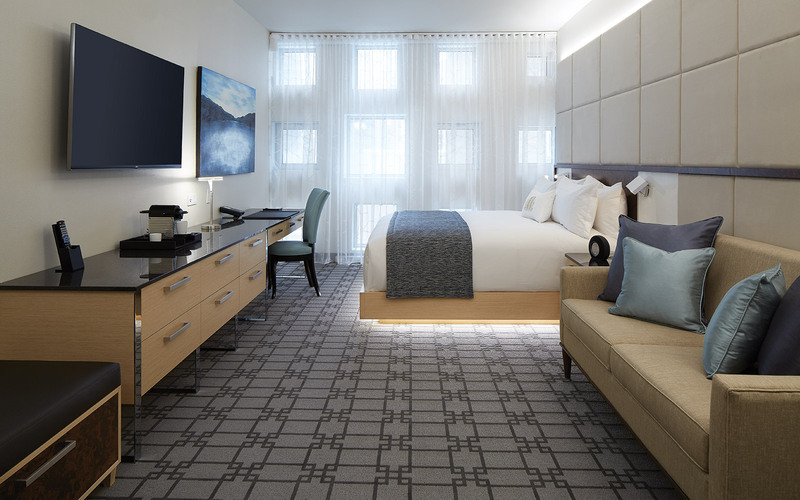 Our hotel pays homage to Montreal’s rich heritage, showcasing a unique style and character while offering state-of-the-art comforts and technology. Awarded by the Jury of the 45th Edition of the Prestigious Canadian Architect Awards of Excellence in December 2012. 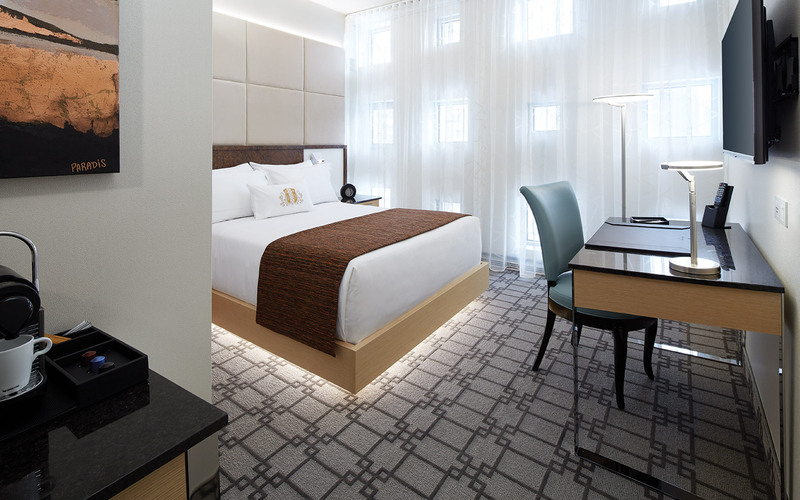 Montreal’s newest luxury boutique hotel, Le Mount Stephen combines neoclassicism and contemporary lines in a subdued environment. We provide 90 prestigious rooms and suites, all featuring floor-to-ceiling windows, exclusive beds, Cura chromotherapy rainfall showerheads and in some cases, a private terrace. Beyond our rooms, we offer more than 6,500 square feet of elegant event space, an on-site spa and fitness centre, and our own British-inspired restaurant, Bar George. 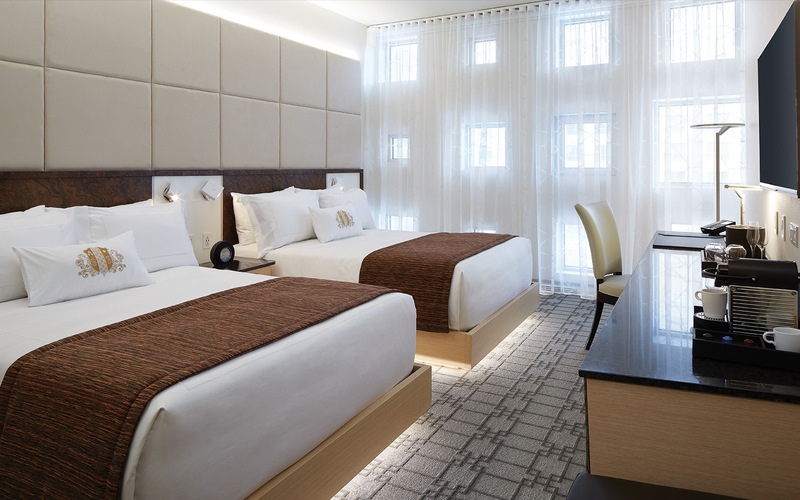 Choose from 69 rooms and 21 suites featuring everything you need for an unforgettable stay in Montreal. For a truly indulgent experience, choose our Sky Loft Suites—which are unique to the city—or our largest accommodation, the Royal Suite. Le Mount Stephen is located in an opulent mansion that once belonged to Lord George Stephen, and was home to the exclusive Mount Stephen Club. 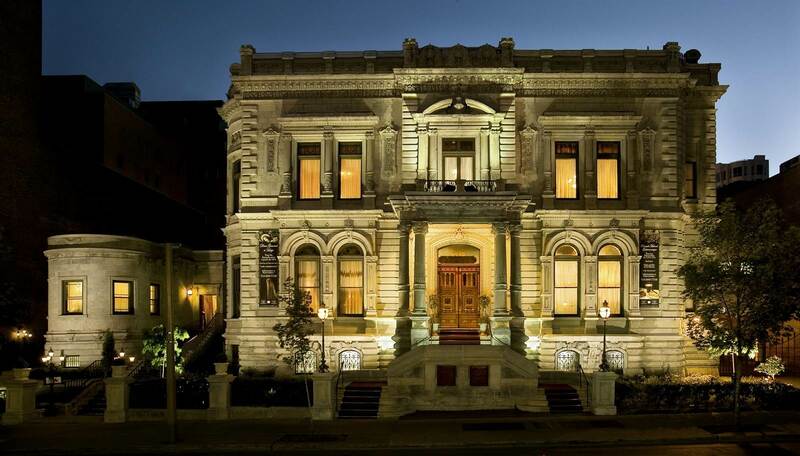 Great care has been taken to preserve this historic building, which dates back to 1880 and has been the site of many important moments in Canada’s history. Celebrate life’s most important milestones at our Montréal venue. Offering 6,531 square feet of elegant space throughout multiple banquet rooms, we have plenty of room to host your special occasion. Choose the Elizabeth Ballroom for large events with up to 450 guests, or for something more intimate, opt for our second-floor Robson Boardroom.